Video cameras are getting smaller and more functional for that cinematic look in whatever you do. 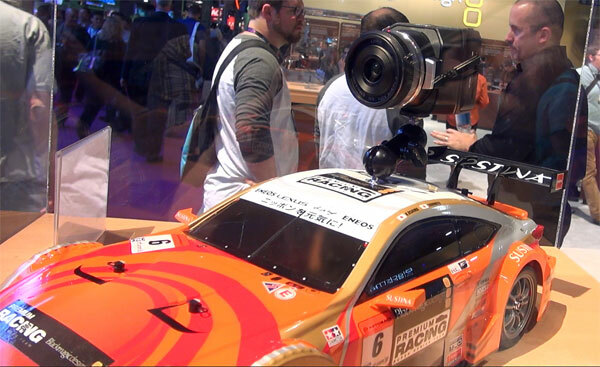 That is the case for the Blackmagic Micro Cinema camera. The best part – it’s a fully open and customizable camera. The Cinema camera is only 2.57 inches high by 3.25 inches wide and 2.74 inches deep. With a weight of only 10 ounces, this camera can be placed on a helmet, drone, or just held in your hand. The Super 16 sensor allows up to 1080p to 60 fps with rolling shutter. The Dynamic range is 13 stops for anything from daylight to low-light video. Of course, the open camera system allows you to customize this camera however you need. Add any lens you need, bring audio into the camera, or use the expansion port to create your own control and power options. The cinema camera does not come with a viewfinder. That is where the Blackmagic Video Assist comes in. A small LCD touchscreen camera allows for framing and focus options. You can even record from the Video Assist with 10-bit 4:2:2 ProRes and DNxHD recording through the SD card. Of course, if you are using the cinema camera from a drone, there is also the Remote camera option so you can monitor your footage wirelessly. If you need 4K resolution, the Blackmagic Micro Studio camera 4K records in UltraHD and is just as compact. All with the same customizable options as the 1080p version.